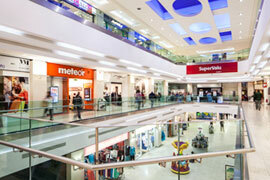 Welcome to Dun Laoghaire Shopping Centre, open 7 days a week! Dun Laoghaire Shopping Centre is ideally located right in the heart of the town, just 5 minutes’ walk from the DART station. There is ample parking available in the on-site multistory car park and a variety of buses arrive and depart from immediately outside the Centre. 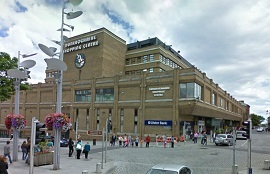 This landmark Centre first opened its doors in 1976 and was Ireland’s very first multi-storey covered Shopping Centre. Since then it has been serving the needs of a growing population with something to offer everyone. In 2009 a major renovation provided a modern facelift to the interior shopping malls, giving the customer a bright and stylish environment to shop and relax. You’ll find everything you need under one roof from fashion and beauty to food, technology and more. It couldn’t be easier to find your favourite stores by searching our A-Z store directory or by category. There’s always something happening in Dun Laoghaire Shopping Centre, so keep up to date with the latest news and special offers by regularly visiting our website. We look forward to showing you what we have in store for you!